I guess American’s recently launched service between DFW and Lima, Peru must be popular: the route was upgraded from a 757-200 to a 767-300 a couple of weeks ago. And from looking at the schedule over the next 12 months, it seems that the switch to widebody service is permanent rather than seasonal. This is particularly good news if you’re waiting for an upgrade to clear! It’s also good news for couples traveling in coach, the 2 x 4 x 2 seating means no sharing the row with a stranger, and thus a little more privacy (plus the 767 offers the Main Cabin Extra mini-cabin). 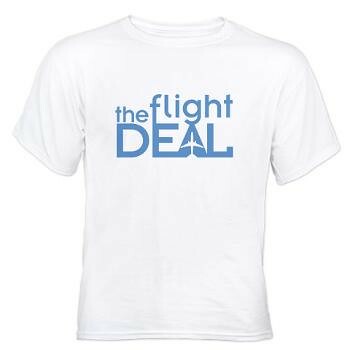 Want to have your very own The Flight Deal t-shirt? Go here to enter their free t-shirt giveaway! UGH! Of COURSE they switch it to that plane now. We took the 757 back in April and it SUCKED. Horrible, horrible plane. I complained to AA via customer service twice and got nothing more than a brush off the shoulder about it. Head rests on 757 weren’t even adjustable and this is an overnight flight. Glad to see this get changed for everyone else! This is incorrect…coach is 2x3x2. I know because I peeked behind the curtain once! Yep, just flew this Monday on a SWU and I was so happy to see the 767. 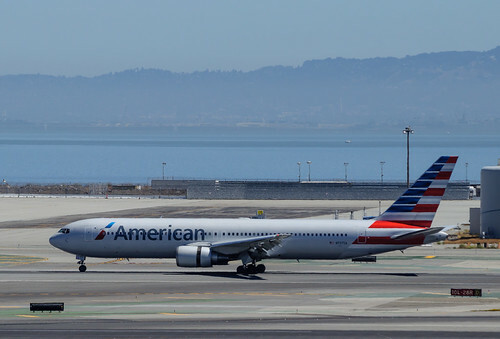 I actually complained to AA a month or so ago about the 757 saying they don’t compare to the 767s coming out of MIA on LA and AA even though DFW is a longer flight. To make it even worse the pilot requires 2 seats to “sleep” due to flight duration, so that was 16-2 = 14 “first class seats”. What a joke, especially for those crappy seats. I requested the 321 as I figured the wide body would be too big of a jump. They responded that they will look into it. Now only if they can get personal entertainment systems we would be set. I assume one of the 321 deliveries displaced a 767 making one available. Finally! We took that flight in the horrible 757 in October. Miserable experience in Business. Nice to hear but too late for us, as 3 weeks ago I booked us in business class on UA for our May trip. Even still, I think biz class on AA’s 767s are old style recliner seats right? actually the first row isn’t bad with the missing window seats. I find that a better use of miles compared to business, that may change now. Regarding united, yes, full meal deal 5 wide reverse herringbone business with your own entertainment. 35k for both on award travel one way, but only 30k if you can find space on LAN out of MIA or LAX.